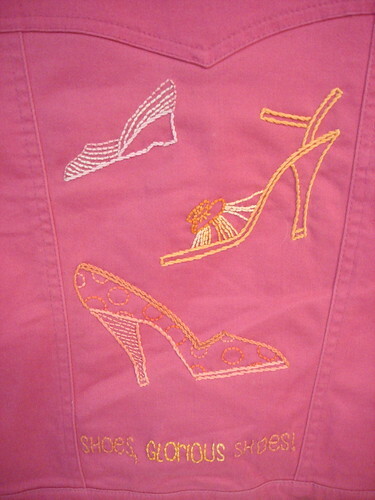 Flickr user designsbythemelonpatch posted this pic of her new demin jacket with Nicole Vasbsinder's Free Pattern "Shoes, Glorious Shoes" emblazoned on the back! To get your finished Pimp Stitch design on the blog, post it to the Flickr Gallery and we might pick it to feature! Linda Perman of Craftstylish has done it again! Check out this awesome tutorial right now!